​All modelers have a life but what do we know of it. This podcast is as much about the people in model railroading has it is about the hobby itself. ​I’ve met so many interesting people in the hobby over the years I decided it would be fun to share their back stories with everyone else. ​Often referred to as simply “Legs” around AML world headquarters, Lionel has been a model railroader ever since coming down the stairs christmas morning at the tender age of five years old only to discover the train going around the tree had his name on it. Lionel rides his Harley all over North America and spends as much time as possible with his son Peter. His railroad first appeared on the cover of Model Railroader in February 1994 edition. 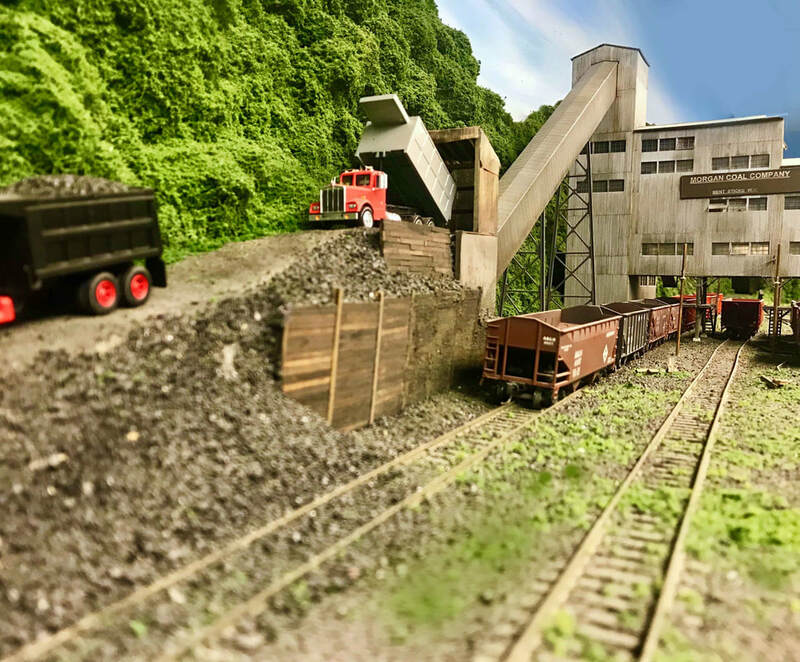 ​Lionel is best known as the builder of the Allegheny and Lackawanna Southern, a 20’ X 30’ HO Scale layout. He also built two project railroads for Model Railroader Magazine: the Northwest Timber Company and the Appalachian Central. Lionel wrote the monthly column Workin’ on the Railroad for MR from July 1998 until May 2005, then continued to serve as a contributing editor for another six years after that. 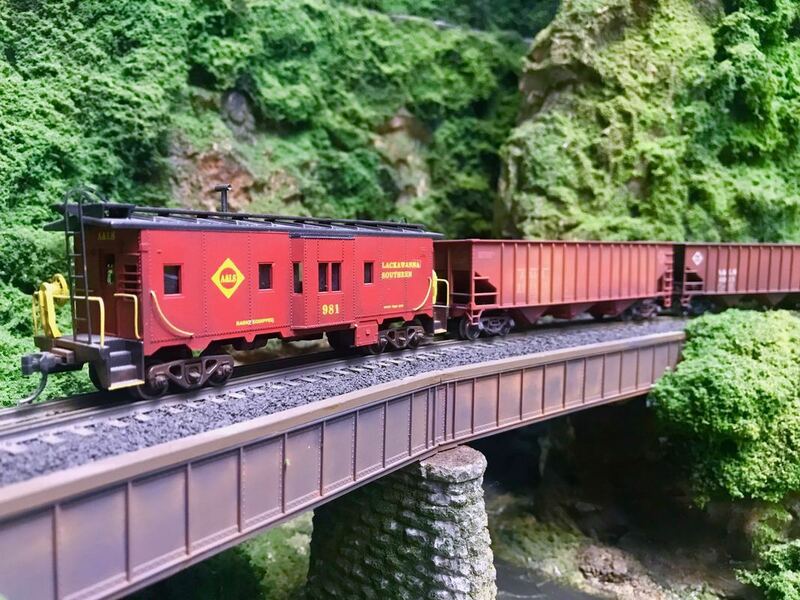 The Allegheny & Lackawanna Southern was loosely based on the Thomas Subdivision of the Western Maryland and appeared in Model Railroader many times over the years. 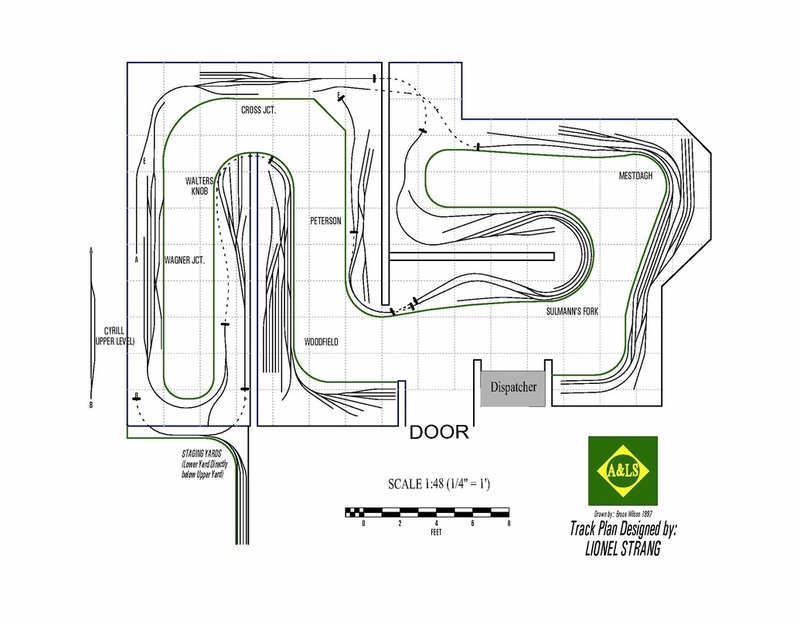 The track plan in the February 1994 issue was prepared from sketches Lionel provided. This plan was drawn by Bruce "the MailBoy" Wilson in 1997. ​Bruce hired on to the AML network in September of ’72 and has been in the basement of the world headquarters ever since. When not busy sorting mail he works at International Water Suppy (known as IWS to the locals) and lives with his wife Jean and together they have three sons Bradford, Matthew and Cameron as well as Chewie the ferret, Oscar the dog and Ursula the cat. Shane lives in the Kansas City area and he's a member of the Heartland N-trak Club. He'd also like us to mention he's a huge Pittsburgh Penquins fan but we ran out of room. 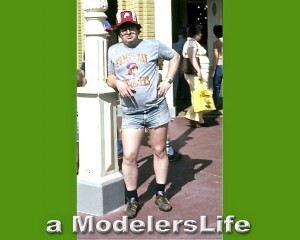 The original SuperFan and creator of the "Kelly Questions," Bruce has always been a slave to fashion. After an illustrious 31 year career in Connecticut with the Westport Fire Department while specializing in the hazmat field he along with his wife Yonti moved to Medford, Oregon. Bruce now works for Campbell Scale Models and Micro-Trains. He was recently elected to the board of directors of Division One for the Pacific Northwest Region of the NMRA. "Secret Agent #0013" is an International Man of Model Railroading Mystery. When he's not out making the world safe for democracy, or working his cover job in the insurance industry, he can be found in his 36' x 20' barn in Robesonia, PA, working on his large multi-deck HO scale layout, representing the Reading Railroad's "Crossline" between Harrisburg and Allentown, PA in the 1970s. ​While model railroading is his principal hobby, he also enjoys reading, podcasts, photography, and a good Costco hot dog topped with ketchup! Like many, Chris had trains as a kid. His dad gave him his first train set when he was 5: an N-Scale, Styrofoam base, folded loop from the Sears catalog. When he was 13, Chris and his buddy Curtis started working on a large exhibit for the Buffalo, WY centennial. 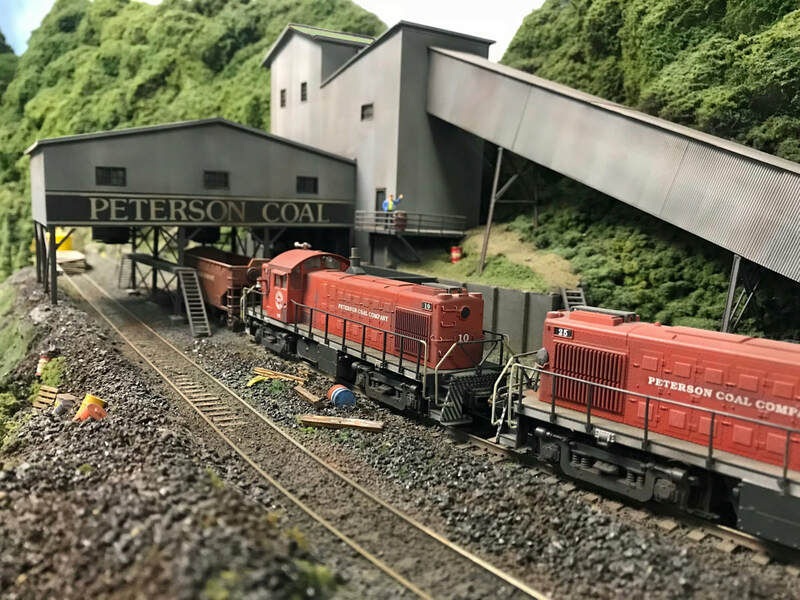 During his teens, model railroading took a back seat to other things, but while attending the University of Idaho he discovered the Camas Prairie Railroad, a standard gauge mountain railroad with all the character of narrow gauge. After finishing graduate school and moving to Texas for work in 2000, the model railroad bug bit hard. 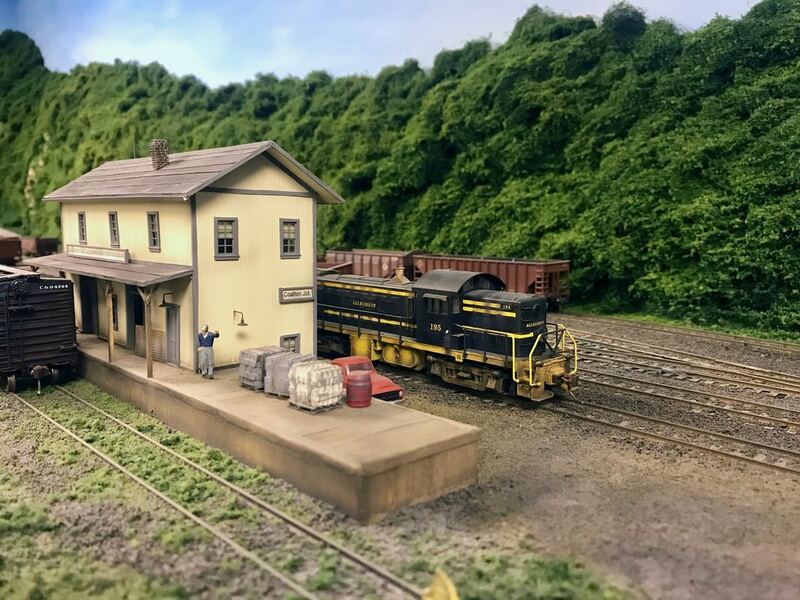 He joined the South Side Railroad Modelers club in Dallas, which was building a new permanent layout in a 90'x12' space with glass on three sides for public viewing. It was also in the early 2000s that Chris got to know Shane Murphy and invited him to join a round robin of local modelers, most of which worked for the BNSF in Ft. Worth. In 2013 Shane decided to tear down his complete, double-decked, 85'x15' layout and move to East Texas. Chris acquired 2.5 acres in Argyle, TX with Shane’s 1895 T&P section house from down the tracks in Roanoke. Chris was a NMRA Division Director for 12 years and was the registrar for four LSR conventions. He is the president of the North Texas Council of Railroad Clubs and a past president of the South Side Railroad Modelers. Professionally, Chris is an electrical engineer and integrated circuit designer. Chris has a wife and four kids who could care less about his model railroad. He also won the AML's prestigious "Longest Bio Award" for submitting the longest bio. With the glory days in the rear-view window Straightball loves to spend time with his family and friends with any extra time spent working on his model railroad. Straightball also enjoys making YouTube videos and Musky Fishing. Since coming on the AML network Straightball has developed a reputation for starting layouts and then tearing them down. On his 4th layout since joining the crew, Andy’s current modeling focus is an HO Scale depiction Chicago and Northwestern Marshline Subdivision in the 1970’s. ... Tac-o-nite!!! 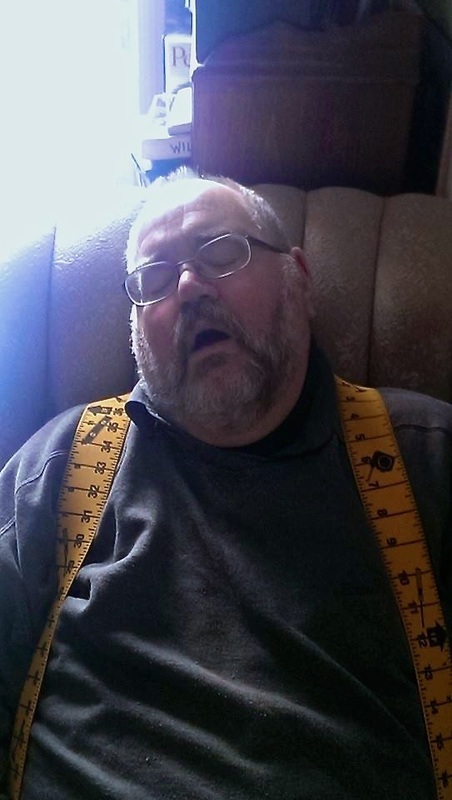 Mike has worked for the railroad since 1992. First as a conductor then as a locomotive engineer since 1996. Originally hired out on the Green Bay and Western in 1992 as a brakeman, then with Wisconsin Central in 1993. Currently working for Canadian national in Green Bay and Manitowoc, Wisconsin. Modeling the Green Bay and Western in S scale. 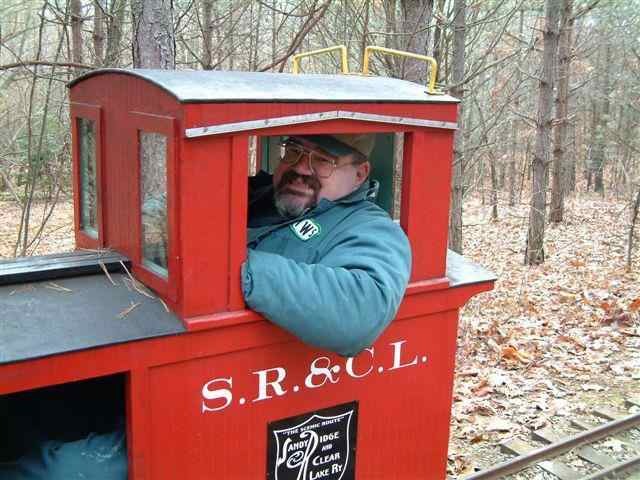 Tony Cook - is a life-long railroad enthusiast with interests in both prototypical railroad operations and history, as well as model trains. 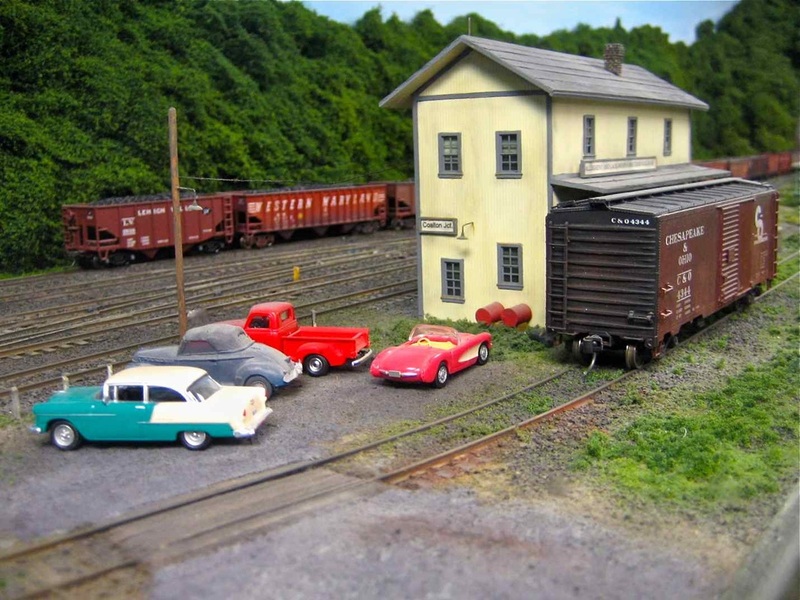 Interest in model railroading is focused on HO scale with an emphasis on the hobby’s history. In 2000, Tony launched the HO-Scale Trains Resource (www.ho-scaletrains.com) to document model railroad history. Tony worked for a dozen years at Kansas City’s Union Station, after its late 1990s restoration and reopening. Since 2011, he's served as editor for Model Railroad News (www.modelrailroadnews.com) magazine. In 2014, White River Productions purchased Railroad Model Craftsman magazine and Tony began serving as its associate editor handling product announcements and reviews. In 2017, a new quarterly publication came from an interest in all things “vintage HO” shared by Tony Cook and good friend Tony Lucio called HO Collector. Tony also works as archivist for White River Productions (www.whitervierproductions.com) always growing collection of railroad photos and related materials. Tony lives in northwest Missouri between Kansas City and St. Joseph. 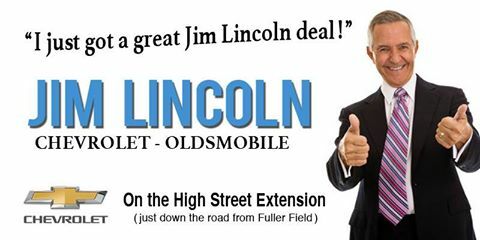 In addition to trains, he enjoys Top 40 music from the mid-1950s to the 1980s, old TV shows, Ford and Lincoln autos.